At the end of the day, people are always going to know your website better than will search engines. That’s the problem that Schema Markup and Rich Snippets are designed to address. Use more of them and Google knows your site – and what your company does – just a little better. In today’s competitive SEO environment, that can make a huge difference. Few sites are built to truly take advantage of structured Schema markup so using even some Rich Markup will offer you a significant advantage. That’s doubly true because so few of your competitors are using it. But rest assured, it’s only going to get more and more important as the Internet marches forward. A little like HTML, Schema Markup is system of coded micro data “snippets” that search-engine spiders and robots can read when they scan your site. Schema.org, and the Schema project, is a collaborative effort among four of the biggest search engines to standardize structured markup so everyone can read it. Basically, again a little like HTML, everyone has to agree on what the code is going to look like, how it will work and how it will be read. Schema is simply an organization to try to standardize some of it. You can see the complete list of “types” here on the Schema.org website, and that same page will give you an idea of what kinds of information the search engines believe they should be able to distinguish. In a sense, all of these schemas of types of information are what search engine indexes are interested in knowing about. Importantly, you probably don’t need to know where exactly these schemas and markups are placed, in what or page, but you should know more or less why. Micro data is included within all the coding that makes up your website so that robots or spiders can get more information out of it, and they do so more accurately. It’s important to note that including complicated and sometimes-expensive markup code on your site won’t, in and of itself, increase your site ranking on Google (Bing says it will). Schema Markup will however help you to present a much bolder and more prominent looking result on the search results page. When taking into account all of the search results shown across Google, one study found that a full 36% of search results included sites using Schema Markup. That’s an enormous number when you consider how few sites actually include any schema markup at all. In short, it’s a significant advantage. One reason for the slow adoption of Schema Markup is because it is relatively difficult to correctly code. It’s not something that inexperienced webmasters can learn in an hour. However, as noted, getting your site’s content properly categorized and easily understandable is only going to become more important in the future, especially to small businesses in competitive environments. 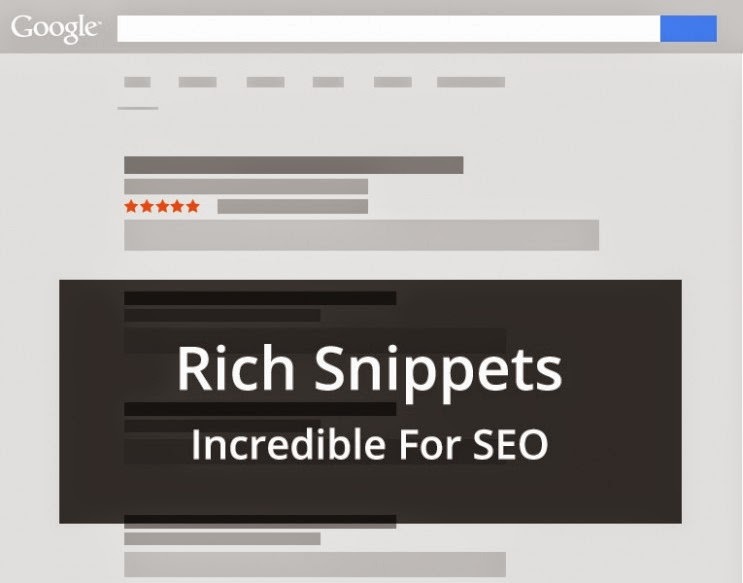 Using rich snippets can, even now, give you better click-through rates as more and more focused visitors can more easily find the information they want. That should also lead to better conversion rates – if not to higher traffic numbers. And happier visitors should also increase your ranking. Google also may not show all of your rich snippets in their search results pages, especially not at first. They will provide a lot of information as to what you can do to improve the quality of the information you provide, and thus to get more out of your use of rich snippets. How Do I Get Someone to Put Schema Markup on my Site? That one is pretty easy. We do it all the time. But first, it’s important that your coding people understand the nature of your business, your products, your content and how and when it’s published. The way you use rich snippets can vary widely depending on the nature of your business, your industry and on the kind of content you’re publishing. Google, Bing and Yahoo! will all recognize dozens of different schemas, and many more are being regularly added to the lists on Schema.org. The most common, and arguably the most important, are for events, blogs, products, reviews, authorship, and articles. But these are item types that should be decided carefully because in many cases you will not want to markup every single thing possible. What Types of Content Should be Marked-Up? Ratings and reviews are some of the most important snippets to include for local businesses. A star rating not only stands way out on the search results page, but links to Google reviews too. It also lets current visitors add still more reviews and connects better with your business Google+ page. Also, Video and Music content has been notoriously difficult for search engines to grapple with. At the same time, it’s Video and Music have grown into some of the most important content on the web. So getting your videos to show up in regular search results pages – and not just on YouTube – and you’ve made a big impact already! Though we often speak with website owners who want their product descriptions to stand way out videos, articles and similar content should be coded to support those product descriptions. All of these things together will help your website to not only stand out with your audience, but importantly, with the search engines, too.